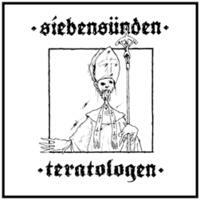 SIEBENSÜNDEN equals very obscure Swedish Sludge Core with members of WARCOLLAPSE, FARCIAL, DOM DÄR, COUNTERBLAST and TOLSHOCK. The band has been more or less (more less than more though, ehr…) active for over ten years and have released two full length albums up till the present day. Consists of two extremely slow and brutal songs with a total playing time of 44 minutes on CD and comes in a card board sleeve, the issue being limited to 500 copies. SIEBENSÜNDEN – GLÄD DIG DU KRISTI LUDER/HERRENS DJURISKA NJUTNING. brings you hate and disgust to the limit where no one has taken you before!